The gigantic hopping Procoptodon is a bit of a distance beast. 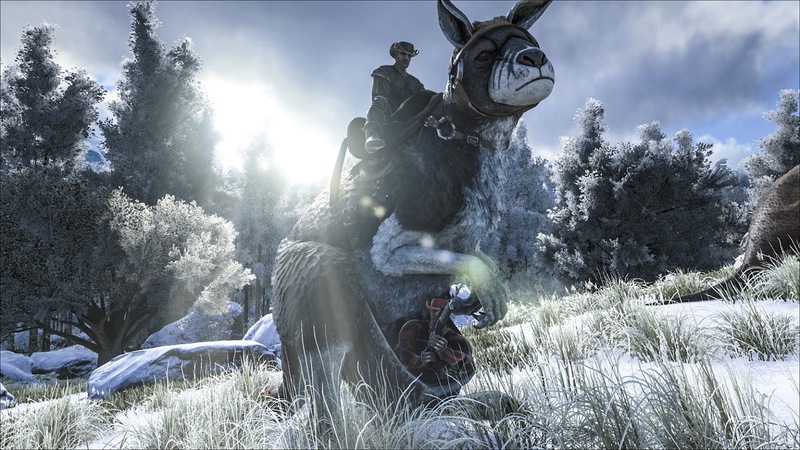 Easily leaping leaping over obstacles with two players, one controlling the massive beast while the pouch-bound passenger can make effective use of all weaponry while riding, it’s sure to be something you should be searching for when you next drop into the Ark. If you haven’t yet got involved, check out our full preview and have a little think about what you want in life. If it is taming dinosaurs, then you should be getting it downloaded right now.